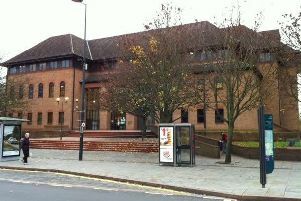 Did you derbyshire man who grabbed woman around the neck? Investigating officers said the alleged assault occurred on Tuesday, May 31 at 12.30am, and are appealing for witnesses. They said: "A woman at the address allegedly pushed the man after an altercation and the man then grabbed her around her neck. "The man drove off in a silver Toyota car." Anyone with information is asked to contact PC James Shaw on 101 quoting crime number 23690/16.